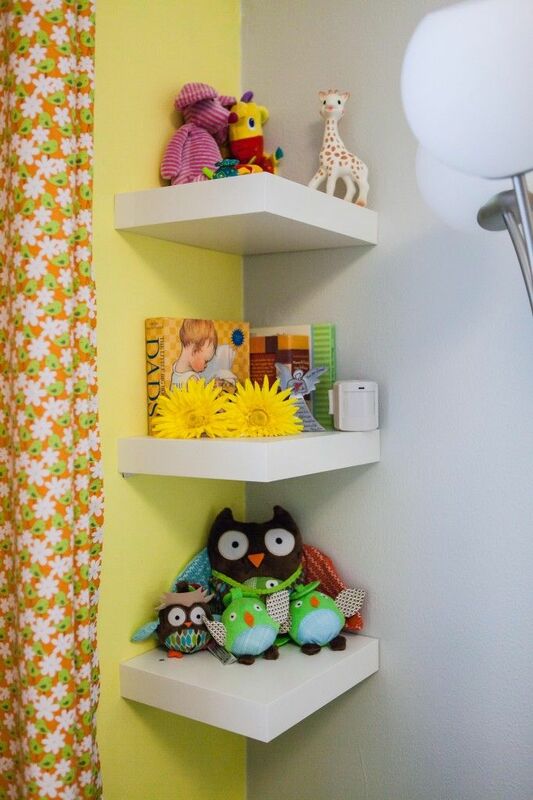 Seven Space Saving Ideas For Your Child’s Bedroom | life.style.kids. Having children means having lots of stuff and making room for it all can be a bit of a headache. Space is at a premium in most family homes, especially if you can’t afford to move somewhere bigger (thanks, rocketing house prices), so being canny about how you organise things is a must. Here are my top tips to making the most of what room you do have. You’ll have room underneath for another piece of furniture, or for your children to play. Make use of every bit of untapped wall space, even try corner shelving. 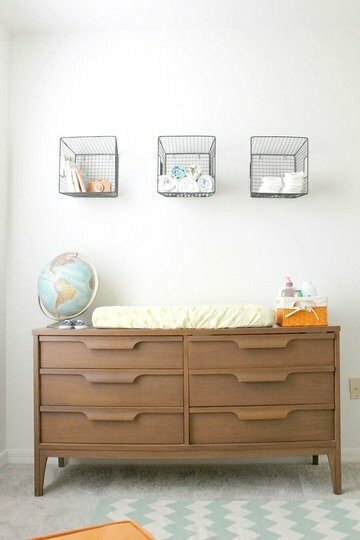 Don’t buy a separate bulky changing table for your baby’s room, attach a changing mat onto your chest of drawers instead and hang baskets or shelves above for all the changing paraphernalia. And voila – two pieces of furniture in one. The hidden pull out bed hidden makes this the perfect sleepover solution, and it’s less bulky than bunk beds, too. 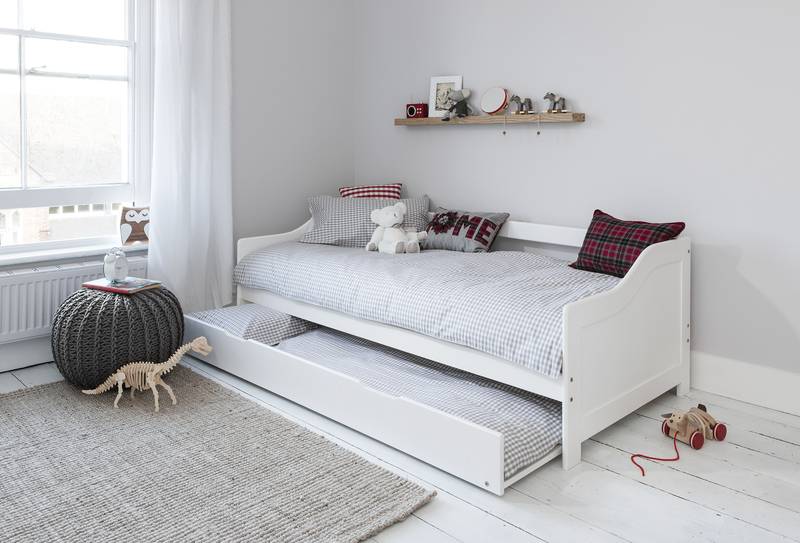 You could always use the space underneath to store toys and games if you don’t need the bed. You can utilise the space you used to leave for the doors to open (and it looks much prettier too). 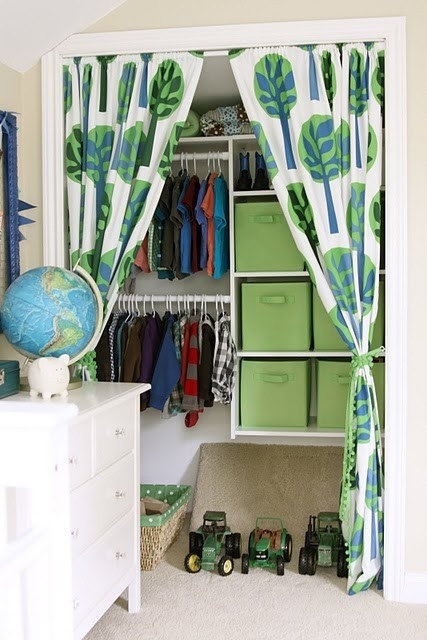 Children’s clothes don’t need the full height of a wardrobe to hang either, so add an extra rod for even more storage. No.2 moving into the boxroom and no space for a wardrobe? 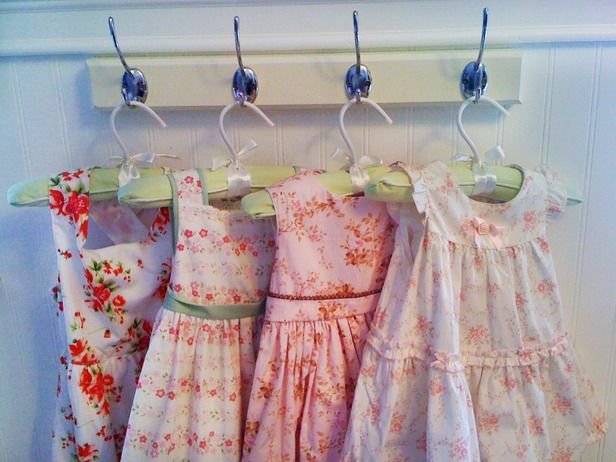 Prettier clothes can hang on display hooks and installing a rail underneath shelving will house all the rest. 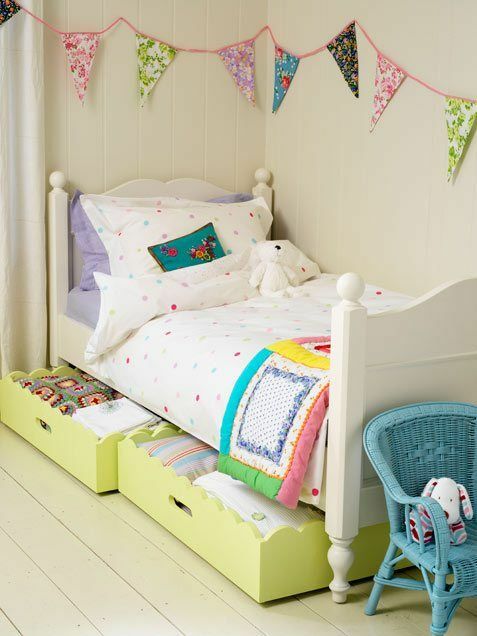 Invest in baskets to slide under cots, cupboards and beds and fill with clothes, bedding or toys. 7. And Finally… Don’t Forget The Back Of The Door! 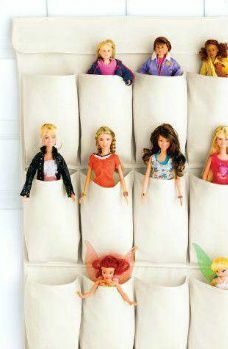 Use hanging shoe holders to stash dolls, soft toys, or changing time essentials. 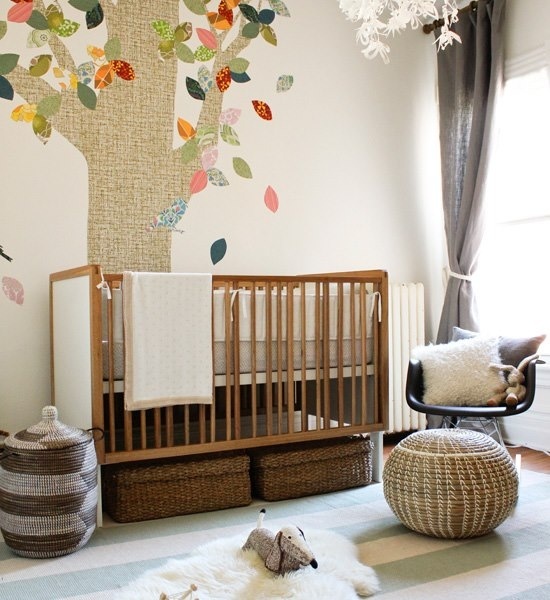 Tags: interiors, kids, kids bedrooms, noa and nani, parenting, sebra, space saving, storage. Bookmark the permalink.